This one day course is aimed at those who need to carry out or co-ordinate risk assessments across a broad area of health and safety concerns facing any organisation. The course includes practical sessions to enable delegates to become competent in assessing risk. The Management of Health and Safety at Work Regulations 1999 require employers to identify all hazards in their workplaces which could pose a risk of injury or cause ill-health to their employees. They then have to devise, implement and monitor control measures to prevent, so far as is reasonably practicable, such risks materialising. This apparently wide ranging requirement has caused considerable concern amongst busy employers and managers who are already hard pressed to keep their businesses going. 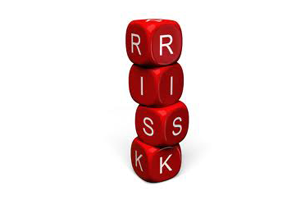 Risk assessments are seen as a further bureaucratic burden and a non-profit making on cost. Nothing could be further from the truth. If carried out sensibly and pragmatically, risk management will reduce your incidence of down-time, stoppages, absenteeism and the threat of being sued by unscrupulous lawyers retained by your employees. Properly applied, risk management is conducive to productivity, profitability and improved employee morale. UK Safety is experienced in carrying out risk assessments that benefit the client as well as fulfilling legal requirements. We show which risks can be placed in order of priority and which might require a redesigned safe system of work. We also provide down-to earth economical control measures based on real life experience. This approach involves the minimum of form filling and report writing and enables the written assessments (which are required by law) to be used as working g documents and not just filed until an inspector wishes to see them. An accredited certificate will be issued following the completion of the course.